LEAD INDIA TWENTY TWENTY FOUNDATION is located in Hyderabad Andhra Pradesh . LEAD INDIA TWENTY TWENTY FOUNDATION is registered as a Trust at Hyderabad of state Andhra Pradesh with Ngo unique registration ID 'AP/2009/0015607' . 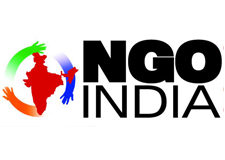 The NGO registration is done by Sub-Registrar with registration number 22/2004 Book IV on the date of 28-01-2004, Its parent ORganaisation is PaulFoundation. The Chairman of LEAD INDIA TWENTY TWENTY FOUNDATION is D J Ramesh and Chief functionary officer is Prof N B Sudershan. Promoters are Prof Y Arun Kumar, Justice Bhaskar Rao, Dr B Parth Sarthi Reddy,Padmabhushan K I Vara Prasad Reddy. Lead India 2020 declared as 2nd National Movement by former President of India Dr.A.P.J.Abdul Kalam, is being led by Lead India 2020 Foundation a non-profit, non-political, intellectual registered trust. The founder Dr. N. B. Sudershan Acharya with his 25 years of Bala Bharathi research on human values has integrated Dr. Kalam�s Vision Mission and oath and designed Lead India �Aap Badho Desh Ko Badhao� training and research program to ignite and channalize hidden potential, patriotism and set holistic goals with skill development among children and youth who are 55% of India�s population. Government of Andhra Pradesh has trained this program to 50 government teachers in each district as Lead India resource persons to train 23 lacs students in 23 districts of Andhra Pradesh. Dr. Kalam is making ground to replicate these trainings in all states of India to achieve developed India by 2020. Achivement: 1) Former president Dr. A P J Abdul Kalam in his last message to the nation appreciated Lead India 2020 activates and mentioned that he is convinced that this mission oriented program will transform youth who will transform India as developed nation. He also declared Lead India 2020 as 2nd national movement. 2) Lead India 2020 Foundation achieved partnership of Govt. of Andhra Pradesh education department and trained 550000 Govt. School students and trained 1150 Govt. teachers as Lead India resource person who are now training 2300000 students in 23 districts of Andhra Pradesh. 3) Acquired partnership with University of Hyderabad (Central University) and establishing Center for Educational Research in Human Values who will be training teachers as community research scholars. 4) Acquired partnership With GE (Multinational Company) for corporate volunteers working as Lead India Ambassadors in Corporations and as mentors in schools. IBM, Infosys, CSC, CA, Capital IQ etc.. Volunteers are working as Lead India Corporate Ambassador. 5) 4 Mass Events are conducted at Medak, Karimnagar, Chittoor and Hyderabad where approximately 100000 students in each place interacted with former president Dr. A P J Abdul Kalam.